Welcome to Sally Lunns.com. Many of you are very familiar with our stores and our products, for those of you who are not here is a history of how Sally Lunn’s began in the US. Sally Lunns was established in Florida in 1982 by Mrs. Gaffney and her family. The Gaffney family emigrated from England and set up shop in Central Florida. Back in England they were famous for their fine, unique and very successful restaurants. Mrs. Gaffney and her daughter Theresa also brought and sold antiques. They had a space in the Historic Covent Garden Flower and Fruit market, and sold their collectibles right in front of the Old Opera House. 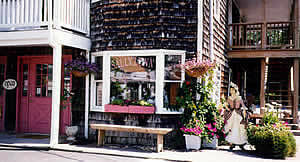 Mrs. Gaffney had the unique idea of combining her fine antiques with her wonderful knowledge of food and was truly the pioneer for what is now the famous Sally Lunns Look, which is widely emulated by Tearooms all over America. 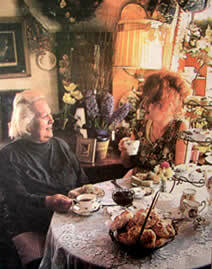 Combined with the talents of her daughter Theresa who was a designer and chef extraordinaire, they put the first Sally Lunns Tea Shoppe together and were an instant success. Set in the rooms of a Victorian home, the shoppe was so popular that people would come from near and far to have lunch or take tea. Standing in the heat of the Floridian Sun they would wait for hours to be seated. Other shops soon followed as the word spread and the Sally Lunns name became famous throughout Florida. The Gaffneys chose the name because Mrs. Gaffney used to make the bread from which the name was derived. 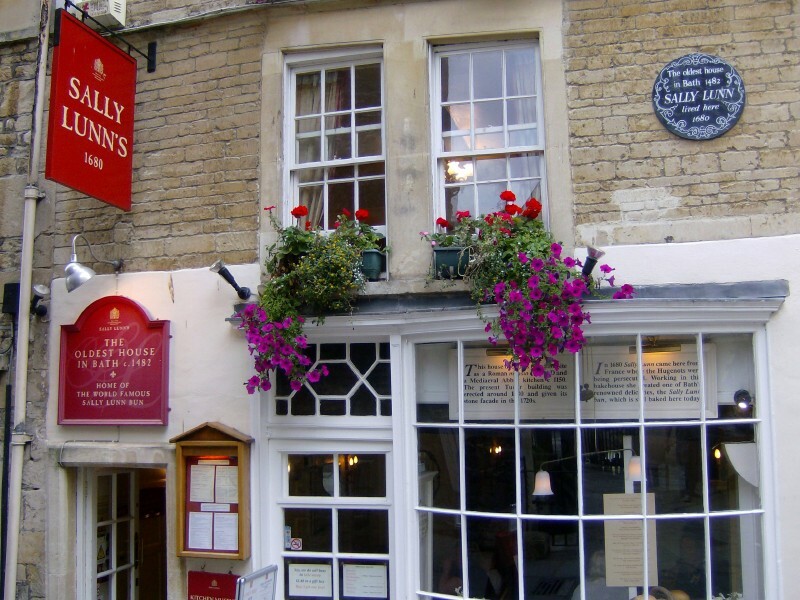 Many people make Sally Lunns bread and in fact the bakery where Sally Lunn, who was said to be a French Refugee, who fled from France during the revolution, is still in existence in the beautiful town of Bath in England, today! 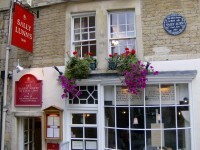 As with all historical figures, there are many stories surrounding Sally Lunn, but one thing is certain, her little brioche like buns are delicious and have given her a place in the pages of history. In fact not only in history books, but thousands of cook and recipe books, plays, films and now the finest Tea shoppes to grace the shores of America. We are sure she would be amazed! The tea shop in Bath where the first Sally Lunn was baked.